Good use for a distribution diagram shown in the January 2017 Guardian op-ed ‘Why hasn’t Scotland changed its mind on independence?’. It shows Scottish voter behaviour in the first pre-Brexit vote independence referendum (‘IndyRef1’) and intended vote in the second independence referendum (‘IndyRef2’), based on a poll among some 3,200 Scots in Nov/Dec 2016. The left columns has two categories (Brexit Leave/Remain and first independence vote ‘Aye’/’Nae’), the second only one category. Both columns have the undecided voters fraction in light grey. The changeovers from one camp to the other are shown emphasized in strong colors. One can see that the ones who voted “No” in the first referendum and that would now vote “Yes” for Scottish independence are compensated by voters who said “Yes” in the first vote, and who would now probably go for a “No”. 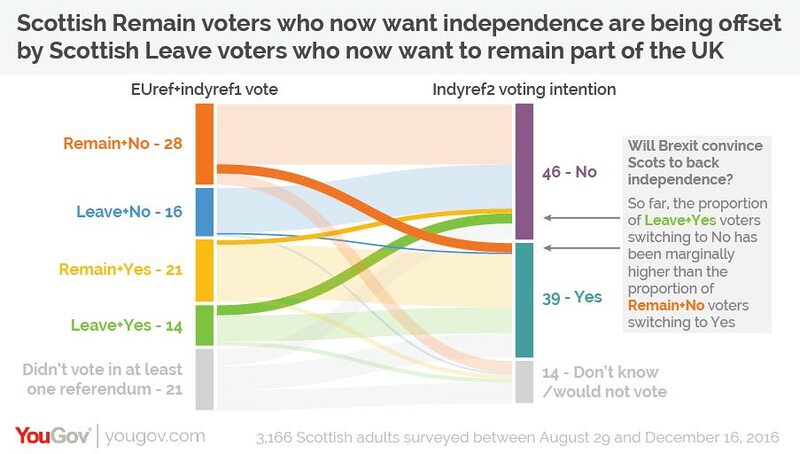 There seem to be less undecided voters (down from 21% to 14%), but the overall outcome would at present be the same: 46% No, 39% Yes (Indyref1: 44% No, 35% Yes). Of course a lot has happened since the poll in Nov/Dec 2016 and there is still a long way to go up to IndyRef2. Stumbled across a number of swimlane diagrams developed by Andy Tow in 2012. As he describes on his blog these were created during a “Hackathon de Visualizaciones” in Buenos Aires. Andy used ‘Sankey by tamc’ (see Sankey software list) to create several diagrams like these. This one is for the Santa Cruz province and covers elections 1983 through 2011. More images like these for the Chaco, San Juan and Jujuy provinces are available. These are sample screenshots from the ‘Electoral Atlas’ (see below). Each node represents elections, with the height of the block representing the percentage of votes/seats received. The “leading” party is always at the top. So the bands between two blocks are basically electoral behaviour and (may) visualize political shifts. When two bands join, there seems to be a coalition. 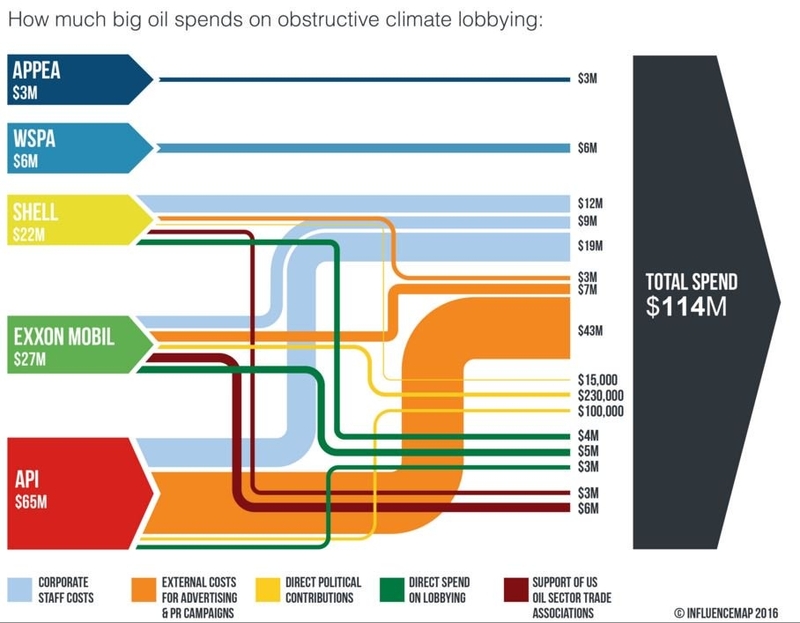 In this special type of Sankey diagram the nodes are of greater importance. The bands represent quantities, however there is a temporal rather than directional aspect to the flows. This is similar to the Political Parties in Slowakia diagram and to these. Check the interactive version of the ‘Electoral Atlas’ by Andy Tow, where you can hover the mouse over the diagram to highlight details. A company named HistoryShots offers some fine diagrams, that show the development of political parties in the U.S. and two historical graphs of the civil war (1861 to 1865) that remind of Sankey diagrams. Prints of these maps can be purchased from their site. The ‘History of the Confederate Army’ and ‘The History of the Union Army’ how armies were formed, regrouped or significantly lost men in battles. The width of the ‘arrow’ with an implicit direction along the time line (shown at the bottom of the chart) represents the number of men. Additionally, the diagram is split into three main geographical areas (Western Theater, Eastern Theater and Trans Missisipi Theater). These diagrams are inspired by the famous Minard chart, which shows the loss of men on Napoleon’s march to Moscow and during the retreat. The other two graphs are in the ‘Political’ section of the HistoryShots webpage, and show the development of political parties in the U.S. from 1730 to 1892 and from 1892 to 2005 respectively. On these graphs the widths of the “bands” don’t represent votes or seats. The popularity of each party is shown as the amplitude on the unlabeled x-axis. 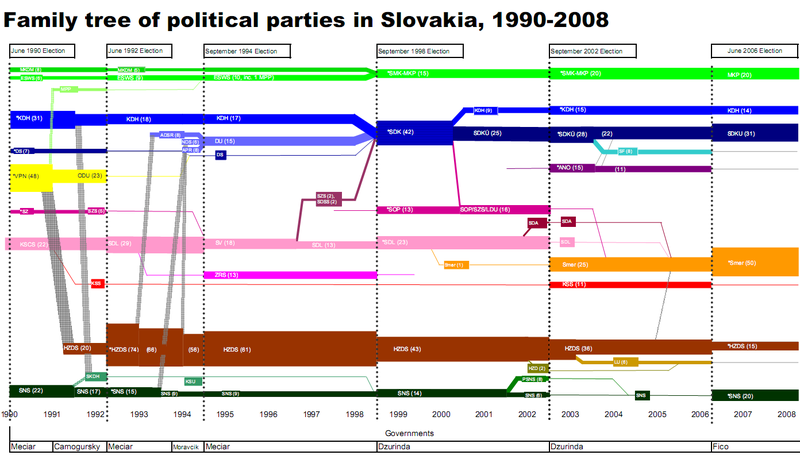 Note: I presented a similar diagram for the development of political parties in Slovakia 1990 to 2008 here on the blog before.